A group of Bradford pupils visit the Hay Festival for the first time "as part of an exchange programme with the Bradford Literature Festival" . They gleefully give their review. "I'm looking forward to (The Hay Festival) because I'm going to know what is outside of Bradford, going to a different place." Are people still asking, "Do libraries 'have a future'? 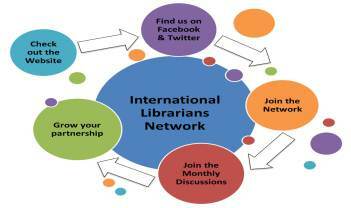 Do you find yourself defending funding to libraries - your library? When was the last time someone told you 'books are so yesterday, libraries are dead"? Public Libraries Europe just updated their Tour site. There are some great talking points here, and a lot of encouraging news.